LAUDERHILL, Fla. - Once again, Broward and Palm Beach counties failed to meet a midterm election deadline. Broward County's Supervisor of Elections uploaded the results to Florida's secretary of state about two minutes late on Thursday. The state is therefore using the original voting totals. The votes went into the room where they needed to be sent from with enough time, but Joe D'Alessandro, director for election planning and development, blamed the delay on his "unfamiliarity" with the state's website. There is another discrepancy that he is worried about. The results are 2,040 votes fewer this time than the original count. 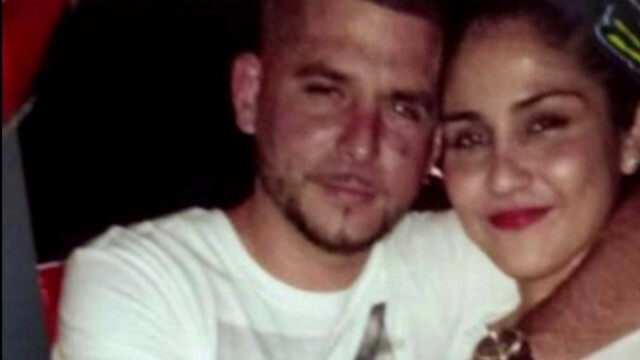 "We are looking into why this took place," D’Alessandro said. "We believe that there was a co-mingling of ballots and that we did not correctly handle the ballots." Florida’s secretary of state ordered a manual recount. The results of the manual recounts are due by noon Sunday, and the election will be certified Tuesday. With a 0.41 percent margin, unofficial results show that the governor’s race seems to be settled with Republican Ron DeSantis. "It is not over until every legally casted vote is counted," Democrat Andrew Gillum said in a statement. 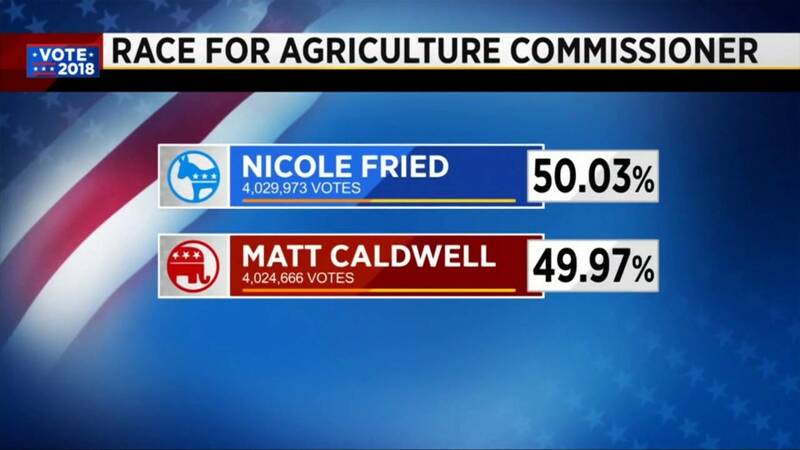 According to Department of State spokeswoman Sarah Revell, the unofficial returns from the machine recount triggered a second recount in the Senate race and the state agriculture commissioner's race. Unofficial recount results on the secretary of state’s website show Republican Gov. 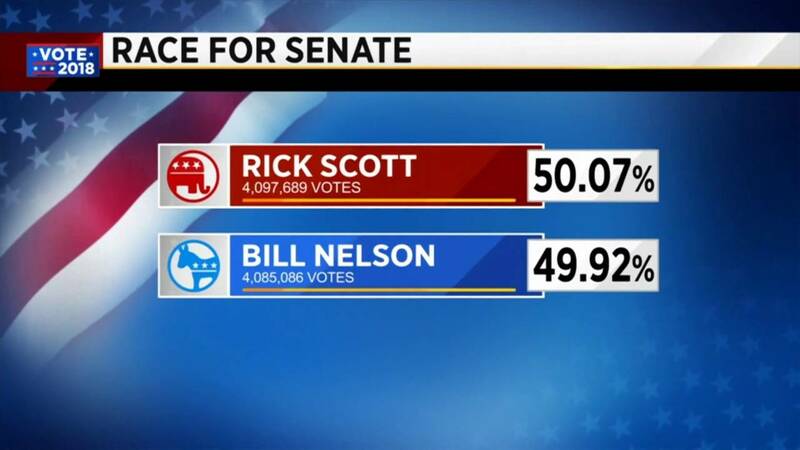 Rick Scott with a .15 percentage point lead over Democratic incumbent U.S. Sen. Bill Nelson. State law requires a hand recount of races with margins of 0.25 percentage points or less. Nelson has "to respect the will of the voters and graciously bring this process to an end rather than proceed with yet another count of the votes — which will yield the same result and bring more embarrassment to the state that we both love and have served," Scott said in a statement. West Park city commission seat 1 is also going to a hand recount. Palm Beach County’s election supervisor Susan Bucher had warned that the county would not be able to complete the recount on time, and the machines overheated. "We gave a heroic effort," Palm Beach Supervisor of Elections Susan Bucher said. U.S. District Judge Mark Walker rejected a request to give counties more time beyond the 3 p.m. Thursday deadline to finish their recounts. Walker is giving thousands of Florida voters until this weekend to fix their ballots if they haven’t been counted because of mismatched signatures. "We have been the laughingstock of the world," Walker said, "election after election and we chose not to fix this."